The Nagaland Joint Christian Forum (NJCF) has called for special prayer on coming Sunday to seek God’s intervention on the Naga issue. Taking serious note of the stalled political negotiation between the Centre and the Naga National Political Groups (NNPGs), the forum, in a release issued by NJCF president Rev. 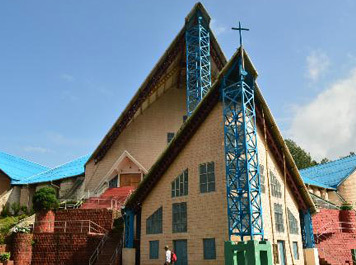 Zelhou Keyho, who is also the general secretary of Nagaland Baptist Church Council, on Thursday asked all churches across the State to hold a special time of prayer on the issue. It has requested all churches to pray God to grant His wisdom and direction to the leaders of both the Centre and the NNPGs. “Pray that the delay tactics of those in authority will not lead to another insurmountable problem. Pray that those in power will avoid extremism and hatred and that the spirit of tolerance will prevail in the country,” the forum told the churches. “These are things that we must commit to God so that with the prayer of believers God will intervene,” it said. According to the forum, the Nagas have been trading on the uncertain future for a very long time on the Naga political settlement. It said the “assurances” have become just a “merely political rhetoric” despite the Centre acknowledging over and again that it recognises the historical and political uniqueness of the Nagas and promising political solution soon. Stating that the patience of the Nagas have been tested over and over at every turn, the NJCF said the delay tactic of the central government was gathering thicker mass, which may also evolve into another “long range problem” if it was not dealt with all seriousness. Alleging that mutual trust and confidence seemed to be lacking on the part of the Centre, the forum urged it to take matters with all seriousness so as to avoid mistrust among the people. The forum also asked the churches to pray for the Northeast region which is engulfed with unrest owing to the Citizenship (Amendment) Bill. “Pray that the political leaders will have the courage to speak the truth and stand for the welfare of the people,” the forum urged.